Spring is here and the warmer weather means more iced tea for me. Yum! It is also the time I start thinking about my plants, flowers and herbs in my yard. I have a new garden area to play with this year which will be totally fun to make a mess in. Today I’m excited to combine both of these – tea drinking with fresh herbs. 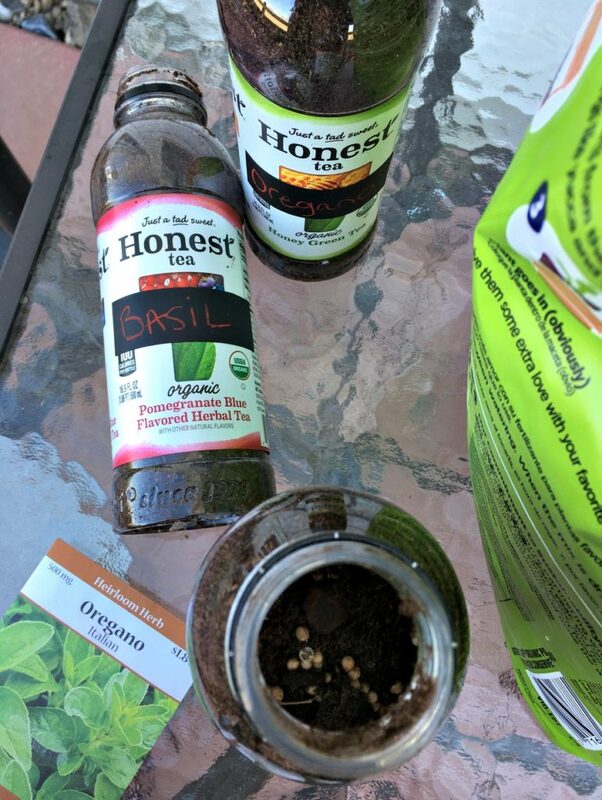 Yes, I’m going to share how I use my Honest® Tea upcycled bottles to make kitchen herbs when you don’t have the garden space, which I didn’t until a few days ago! 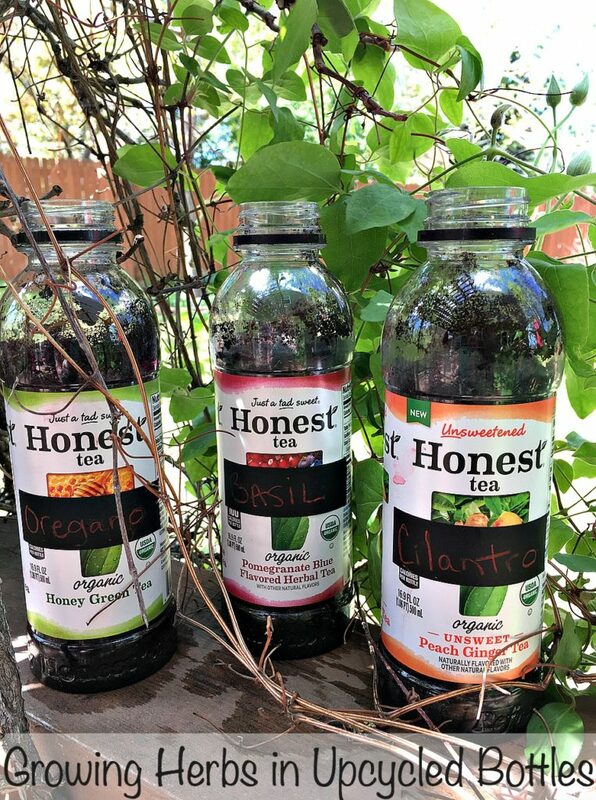 First, let me share with you the brand new Honest® Tea Unsweetened Peach & Ginger flavor that literally just hit shelves at Kroger grocery stores nationwide. 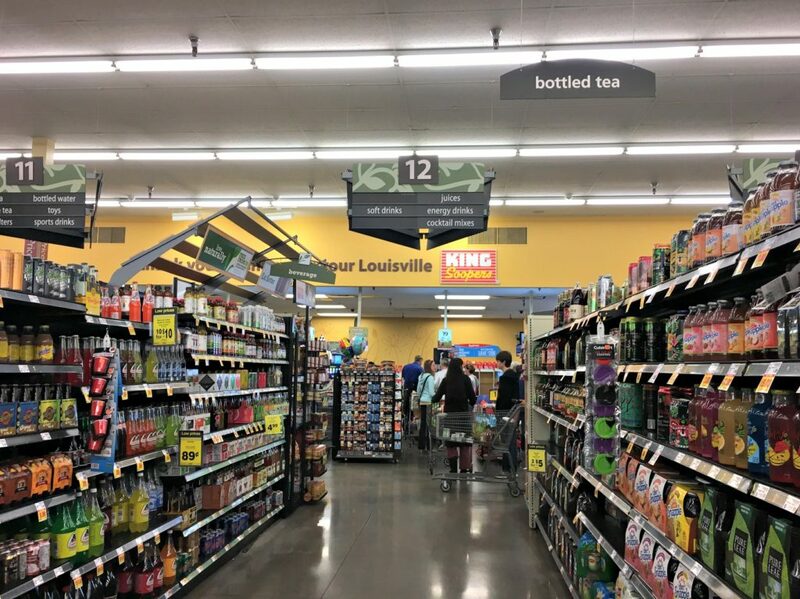 Our local King Soopers sells iced tea in both the cold ready-to-go section and the Bottled Tea aisle. Grab a digital coupon offer for $.25 off one bottle which can be used up to 5 times in one transaction. But hurry this deal ends in a couple of days! 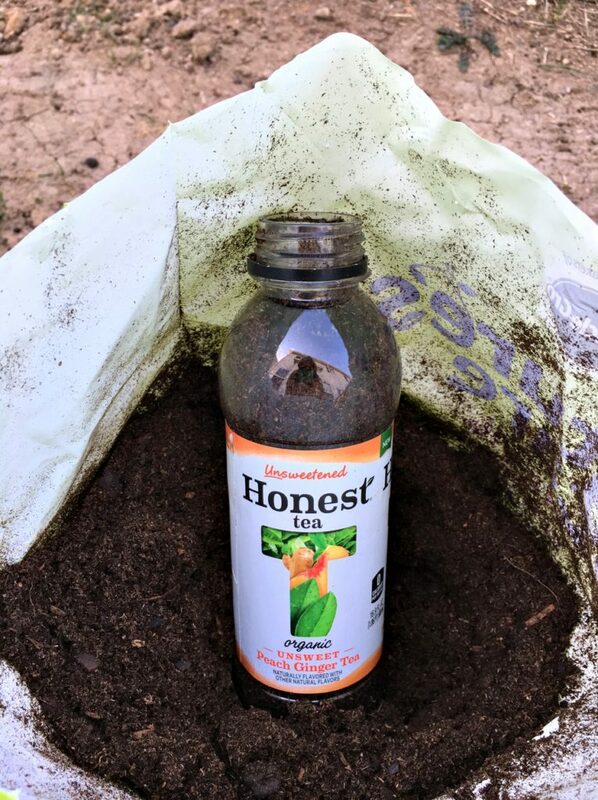 I love that Honest® Tea is organic and Fair Trade, meaning the tea leaves are grown without chemicals and pesticides in a country that treats their workers right. No sugar is added to the drink, making it taste just like you would at home! The new peach & ginger is going to one of my favs as the taste is perfectly peachy and not too sweet of course. Just what I like. Real. Honest. Pure. Now the fun begins. 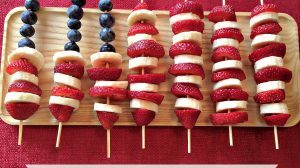 Be sure to get the kids involved because they love watching the plants evolve, plus it teaches them that we can grow healthy foods easily from home. 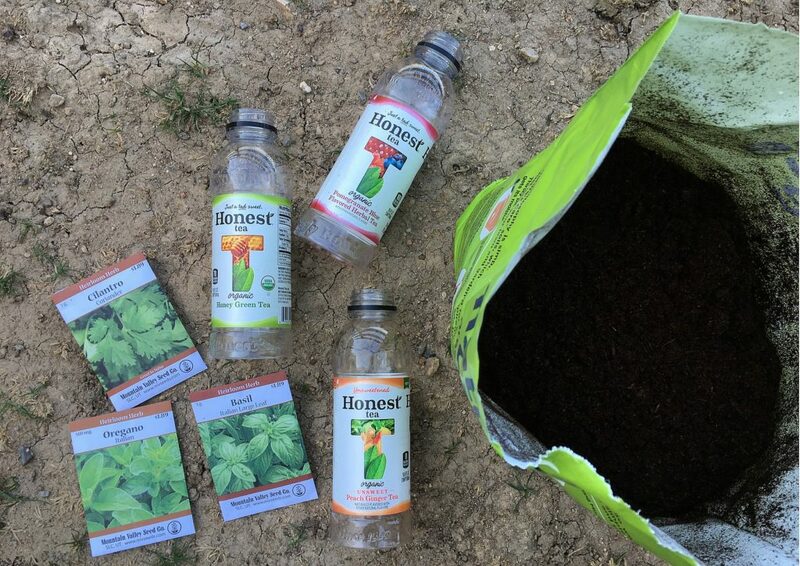 All you need is your Honest® Tea plastic bottles, organic potting soil and seeds. Today I am growing Cilantro, Basil and Oregano. Before you begin, carefully use a sharp knife to put a small hole at the bottom center of the bottle for drainage. Then, use a spoon, funnel or container with a lip to pour soil in each cup. Fill to just above the top of the label. Drop in your seeds and cover with another spoonful or two of soil. Label each bottle so you remember which is which. I used chalk stickers that worked great. Spritz with water daily and be sure to store in dark place until you see they begin to sprout. These are my herbs after only six days! You can see the Oregano and Basil. Cilantro hasn’t begun yet. It is very exciting to watch these grow taller and taller and then I will get to add to recipes in my kitchen. 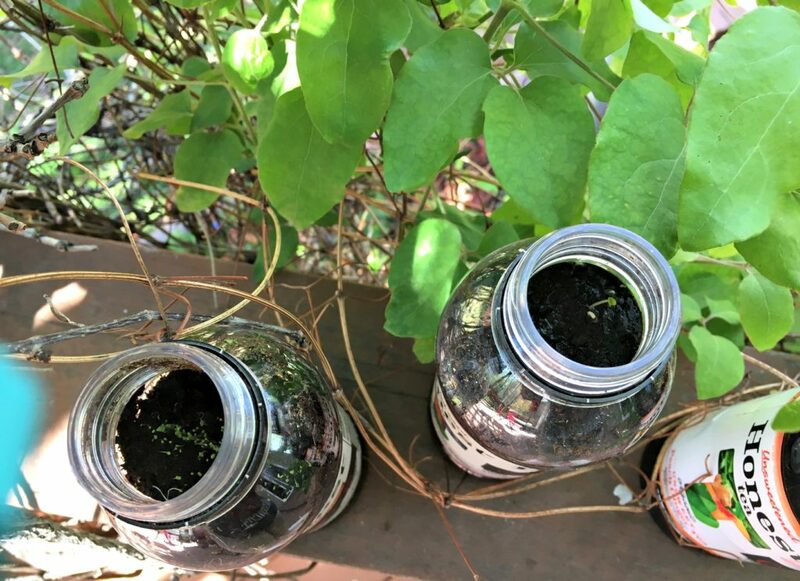 Growing herbs in upcycled bottles the homegrown way is inexpensive, easy and can last a long time. I will be making more because the best part is getting to drink the Honest® Tea first, right? What will you plant first in your upcycled bottle? 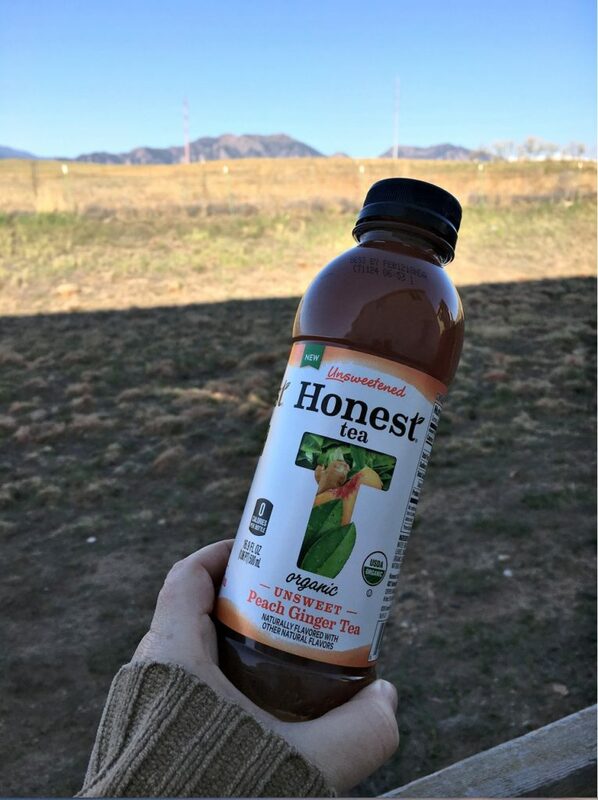 Are you looking forward to trying the new Honest® Tea Unsweetened Peach & Ginger? Thank you for the amazing idea! I'll try this in my garden. The only con of the idea is that you have to add water to the bottles regularly. Do you have the later photos of the plants in that bottles?